It’s been two weeks since we last posted on the blog, mainly because we’ve had a lot going on and very little access to internet. Karen and I left Cusco made our way all the way down the coast of Chile from Arica to Santiago (almost 1,300 miles). We rented a car in a beach town named Iquique and enjoyed driving through the vast beauty of the Atacama Desert and the Pacific Ocean, one or both of which bordered us at all times. After spending a couple of days in Santiago, we flew south to Puerto Montt to begin our next mission: working as farm hands! We flew into the city and stayed one night before having the once-in-a-lifetime experience of picking up our Chicago friends at a Chilean airport. My former Red Frog co-workers and incredible friends Clayton, Emma, and Katherine all made their way to southern Chile to work with us on a farm near Lago Rupanco for the week. The farm was about a four-hour drive from Puerto Montt, tucked deep into the wilderness with immense beauty in every direction. Continuing the trend of crazy travel adventures for the Kimbles, the journey began with a little miscommunication at the airport car rental area. Our crew had reserved a van so there would be room for the five of us, Sofi and her extra-large crate. However, we didn’t arrive at the time listed on the reservation, so they gave away our rental to somebody else! We didn’t have many options after that since the majority of the companies there were completely out of stock. Fortunately, Karen speaks good Spanish and was able to converse with a local rental company to get us a slightly smaller utility vehicle. With some clever positioning of Sofi’s crate and a complete removal of leg room for all of us, we were able to fit! So, the five of us (plus Sofi) embarked in the direction of the farm. To add to the excitement of our adventure, we didn’t actually know where the farm was located. Due to our lack of internet and inability to regularly communicate with the owner of the property, Greg, we just headed towards the area and hoped for the best. Following a couple of hours driving we were able to make a pit stop at a cafe in Osorno. There we tried to call Greg for directions and were unable to succeed, but we got a few screen shots of maps to help us navigate further into the area. An hour later after some more stops we were able to get wifi and grab the step-by-step directions to the farm. We continued on as the sun was setting and headed off into the darkness. Another couple of hours twisting and turning down a gravel road, getting out of the car to open fences, and getting deeper into the darkness, we happened upon the barn where we would sleep for the next two nights. We spent two nights camping out inside the barn and loving every second of it. The lodge we’re currently staying in became available two days into our stay, so we moved in there after the short accommodation at the barn. 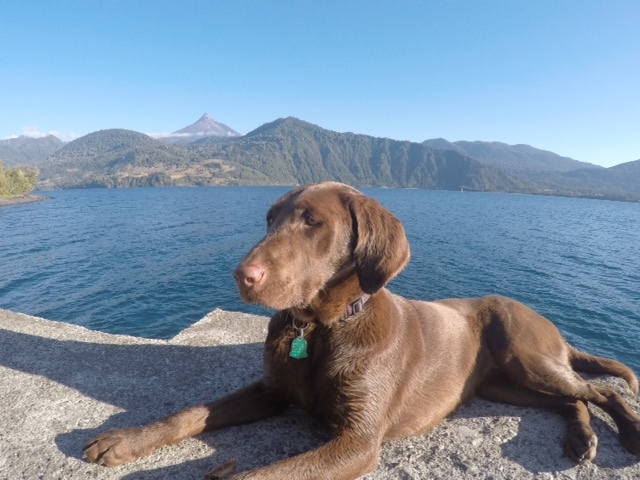 Sofi has spent nearly 100% of her time chasing sheep, swimming and running around with the other dogs. When we arranged to work at this farm (through an online forum called “Workaway”) we had no idea how many awesome people we would meet. There are many other volunteers from various countries all over the world, including Canada, Germany, and the United Kingdom. Our group definitely had a special connection when we met, as everyone seemed to click together. We would work all morning beekeeping, building fences, caring for chickens and ducks, installing windows in the barn, picking berries and doing other tasks on the property; then, in the mid-afternoon, we would go on hikes, walk down to the beach or just play games together at the lodge. Every moment was a tremendous blessing and we’re so thankful that we met the group of people that we did! 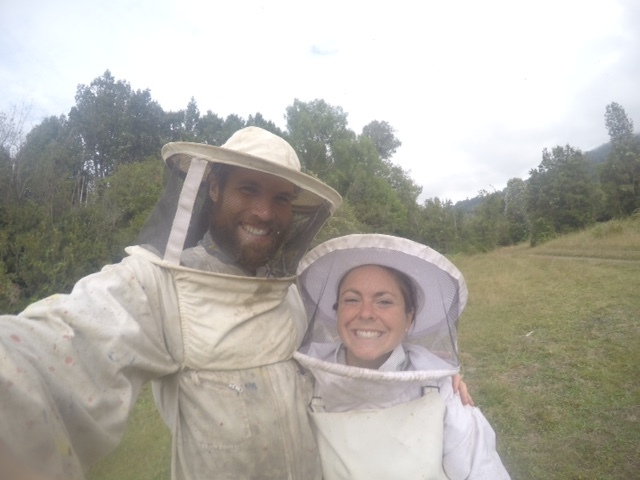 Katherine and I in our beekeeping suits! Fast forward to today. Our friends have left (sadly) but Karen and I are still spending another week on the farm before we leave for Rio. We’ve continued to meet amazing volunteers from places like India, Lithuania, Portugal, and Uruguay. 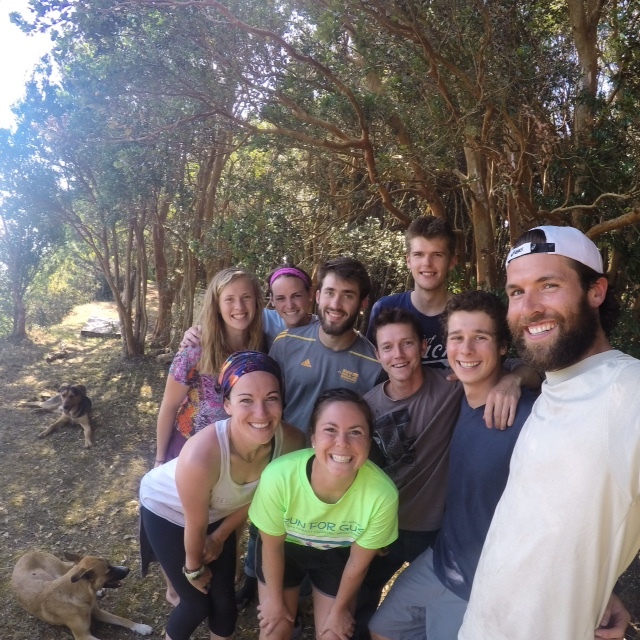 It’s funny that we can come to a remote farm in southern Chile and meet people from anywhere but Chile! The people are tremendous and we are happy to do a little part to help move this farm forward. They hope to become completely self-sustainable in the near future, living off the land in a way that teaches people how to treat the environment with total respect. From solar energy and water reclamation to organic gardening and farm-raised animals, their mission will go a long way to exhibit how important it is to understand how our actions affect our surroundings. It’s great to know that Chicago has placed a permanent stamp on the hard work being done here! Here’s what we’ve been doing for the last three weeks in Chile. We’ve had some unbelievably unique experiences and met lifelong friends. We’re so thankful to God that we ended up here! ← 14 Tips For Having the Most Romantic Valentine’s Day Ever! Peg- your comments mean the world to us! Thank you so much for sharing the experience with us 🙂 We appreciate the love and support! Do they make cheese there? If so, teach me! It sounds like you will be in the club of a few Americans who know where vegetables come from. Apparently people don’t know that tomatoes come from a plant! But the real question is, where do peanuts come from? We wish, Lisa! No cheese here. But lots of vegetables growing in the garden. I like your question about peanuts because we crave peanut butter pretty much all the time (even when we have it)! They are the champion of the legume family. Thanks for the well wishes!! It is so incredible the experiences you are getting to have! You are making us re-think where we want to go and what we want to see when we travel. And seriously, only Karen can make garbage bags look attractive! Safe travels to you…Godspeed! Thank you, Diana! We’re so happy to hear that our experience is influencing your thoughts on travel 🙂 And you’re right…Karen has a way of making any outfit look great!